This is what the dogs looked like a month ago. This really makes me realise that I've done quite a bit of work. It's my birthday in less than 2 hrs and I'm going to get some sleep before I have to get up for work! I dislike working on Saturdays sometimes! 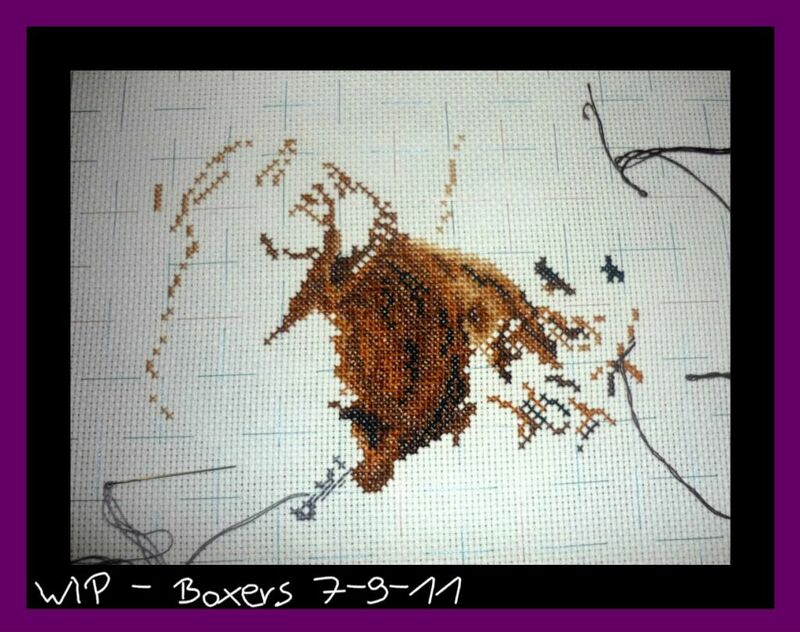 The boxers are looking great- you certainly have done lots of stitching. Hope you have a great birthday too! 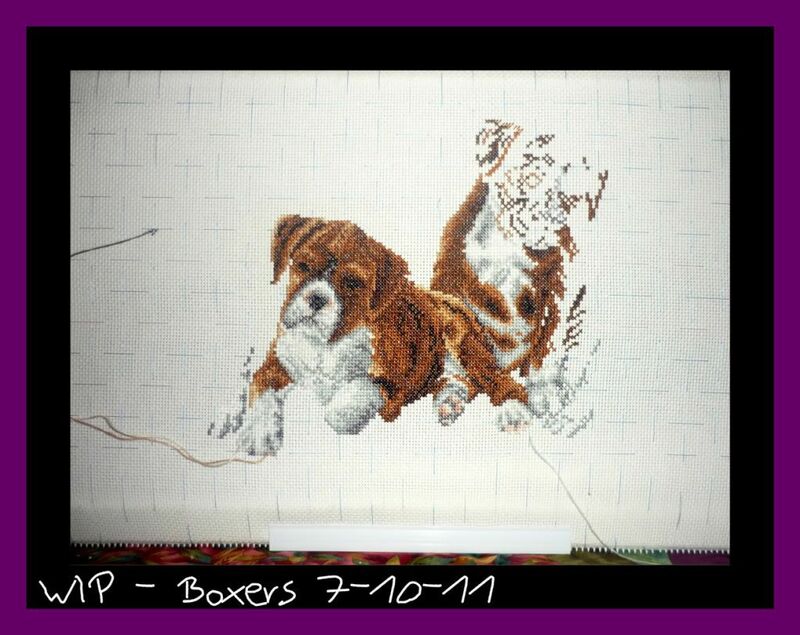 The boxers are looking great!